U.S. Immigration and Customs Enforcement (ICE) has increased employers’ Form I-9 audits by 60% in the current fiscal year. Consequently, many employers are considering enrolling in E-Verify, which could assist them in verifying their new employees’ employability and decrease the risk of an audit. You should involve legal counsel in the decision-making process, however, because once you’re enrolled, unenrolling could be problematic. You’d be required to give written notice of your desire to unenroll, which could trigger a governmental audit. E-Verify is an online system that compares the date on a Form I-9 with records from the U.S. Department of Homeland Security (DHS) and the Social Security Administration (SSA) to confirm an employee’s work authorization in the United States. Based on the information provided by the employee on the form, the system will determine if he has work authorization instantaneously (with some exceptions). Employers must enroll in E-Verify to participate. 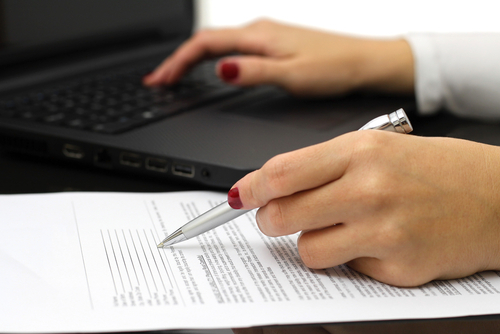 To enroll, go to www.e-verify.gov, enter your company information, select an “access method,” choose your organization designation, and electronically sign the memorandum of understanding (MOU) agreement. Employer access. This method is appropriate for employers that will use E-Verify to verify their own employees. Employer agent access. This method is appropriate for employers’ agents that use E-Verify to verify their clients’ employees. Web services access for employers or their E-Verify agents. This method is appropriate for employers that plan to develop their own software to access E-Verify or hire a company to develop software to access it rather than use the government’s website. Employers may select which hiring site will use E-Verify on a hiring-site-by-hiring-site basis, which is beneficial for large companies with operations in multiple locations. A “hiring site” is the location where an employee is hired and completes a Form I-9. When a hiring site is designated as an E-Verify participant, it also becomes a verification location. If you decide to have a hiring site participate in E-Verify, all newly hired employees for that site must be verified. Accordingly, employers with complex corporate structures have the flexibility to determine whether to enroll all or some of their hiring sites. That can be beneficial if you’re legally required to enroll certain locations but not others. Companies with multiple legal entities may consider using a corporate administrator account. The corporate administrator may enroll new verification locations (employer accounts) or link existing employer accounts to the corporate administrator account. Once an employer account is linked, the corporate administrator account serves as the “umbrella” account and can manage the verification locations and modify the number of hiring sites that participate in E-Verify in each state. A corporate administrator account does not require an MOU, but one must be signed for each verification location that is enrolled in E-Verify. While the MOU supplies employers with a general overview of their legal obligations as an E-Verify user, many potential risks aren’t addressed in the agreement, such as how to enroll if you have multiple locations under one EIN. Furthermore, because of E-Verify’s nature, many employers are uncertain how to manage their hiring sites in a nondiscriminatory way when they transfer employees from a non-E-Verify location to an E-Verify location. For that reason, you should consult with legal counsel before enrolling in E-Verify. Much like completing a Form I-9, enrolling in E-Verify and creating cases is an easy process that can easily be done wrong. It’s crucial for you to discuss the enrollment and use process with reputable attorneys because significant legal liability can ensue if an E-Verify account is mismanaged. Jacob M. Monty of Monty & Ramirez, LLP, practices at the intersection of immi­gration and labor law. He is the managing partner of the Houston firm and editor of Texas Employment Law Letter. He may be contacted at jmonty@montyramirezlaw.com.